Legal XM is a mobile app currently in development that aims to help anyone with a smartphone obtain legal advice while on the go. The app is backed by an intuitive artificial intelligence system to help users get the best results possible. The app will connect users with attorneys, private investigators and security experts in their local area to help them get the advice and guidance they need. The creators of the app have already built up a large database of legal service providers. More are coming on board all the time. Brutal simplicity. Surprisingly advanced, with promising results. The Intelligent Shield is the perfect balance between helping and protecting clients and managing legal providers without the expected intrusion. 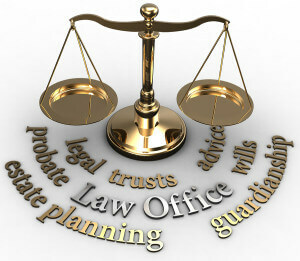 The key benefit of using the app is that users are connected to actual legal professionals. This eliminates the risk of getting inaccurate legal advice when conducting a simple online search. With so much misinformation available on the Internet, the value of having confidence in knowing that the advice came from a qualified professional cannot be underestimated. In addition to providing users with answers to their questions, Legal XM can also assist those with ongoing court cases, reminding them of important tasks and upcoming court dates. Users can even program the app to alert their loved ones if they do not check in at a specified time. This feature can be especially useful when traveling in potentially unsafe environs, both at home and abroad. To help with bringing the app to market, Legal XM’s creators have launched a crowdfunding campaign on Indiegogo to raise funds for the project. The project has a funding goal of $50,000. The funds will go towards finalizing the coding for the app so that it is ready for its expected beta release in August 2017. The campaign has a flexible funding goal. This means that the creators will receive the funds regardless of whether or not they hit their target amount. If the full value is not reached, they promise to still move forward with producing the app, albeit with fewer special features. Contributors to the campaign will be rewarded with a free initial case evaluation for donations of at least $25. For donations of $500 or more, backers will be listed as sponsors on the app’s website and within the app. At the $1,000 contribution level, donors will receive full-page profiles of their businesses with links back to their company websites.